It seems that the rumors about two years ago were true, that device makers likeSamsung and Apple would be carving out a new market for larger than usual tablets. After Samsung’s Galaxy Note and Tab PROs, Apple revealed its hand with the large iPad Pro. Naturally, Samsung doesn’t want to be outdone. 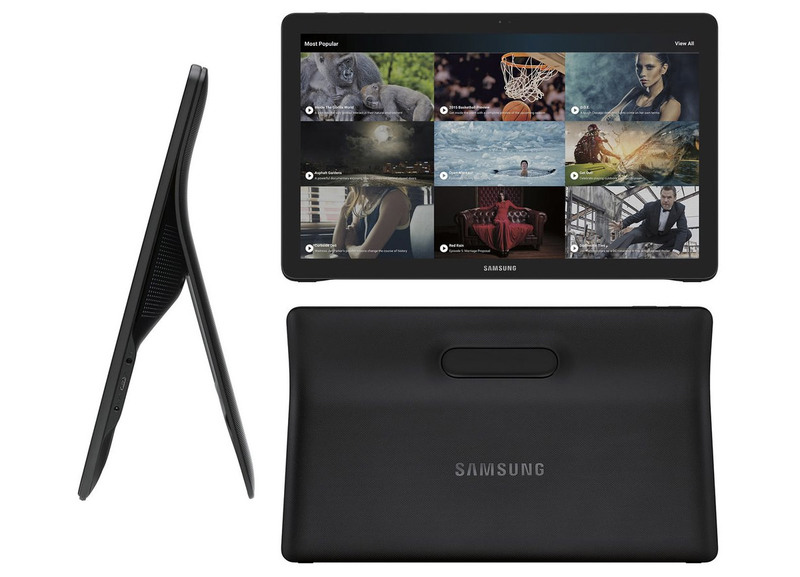 The 18.4-inch Galaxy View that is making rounds over the Internet is truly one of the larger ones and now another “accidental” online listing is giving some insight on what the tablet really is for. Samsung seems to be positioning the Galaxy View as something that fits in that gap between a handy tablet and a gigantic TV. Unlike say, an iPad Pro or a Surface Pro, both of which are considerably smaller, Samsung isn’t marketing it as a productivity device but more as an entertainment device. Much like a TV. Curiously, it isn’t marketing it as an all-in-one Android PC either, though it definitely has the guts to be one. The Galaxy View is expected to be powered by an Exynos 7580, a 1.6 GHz octa-core CPU. There’s 2 GB of RAM and 32 GB of expandable storage. 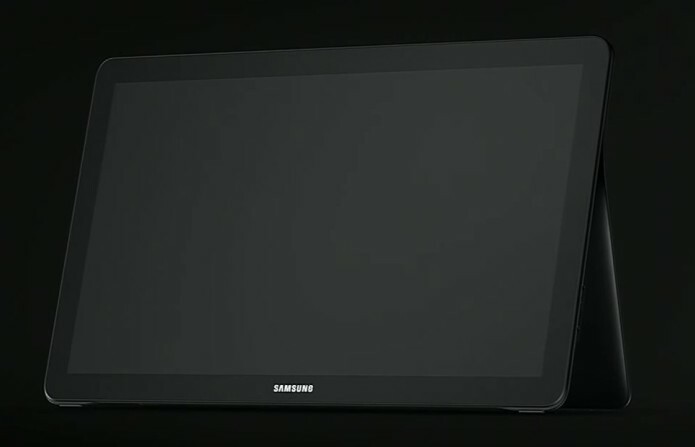 The display reaches up to Full HD only, which might not be so great for viewing higher resolution content. There’s quad-band 3G and LTE support, as well as the usual Wi-Fi and Bluetooth. There’s even GPS inside, which speaks of the device’s portable streak. All in all, the Galaxy View is practically a gigantic mid-range tablet, one with a size greater than the Galaxy Tab S2 flagship but specs lesser than it. Despite its hulking size, at least compared to regular tablets, it is still meant to be a highly portable device. The “dock” cover/stand’s handle is testament to that. So is the 5,700 mAh battery. That, however, might seem a tad small considering the size. The question remains whether something like a Galaxy View actually has a place in the consumer market. It might be useful for kiosks and classrooms, but probably not so much for the home and in-vehicle cases that Samsung dwells on. And with a price tag of $599, buyers might have an even harder time justifying such a purchase.